We give you the opportunity to design your dome at no additional cost. Send us your sketch indicating the door type be it round, triangular or conventional. Tell us the size in square meters or diameter. Then, tell us if you want round windows or bay windows. Or maybe you need a completely transparent dome? We provide the possibility of placing a vinyl blackout cover that allows internal projections or a translucent cover for great light effects. Moving on, if required, tell us if you will need additional ventilation, either in the form of fans or air-conditioning. Also think about the possibility of adding colour to either the cover or the structure. These possibilities add a different look that can enhance style or marketing purposes. Maybe you need something in the colours of your company? 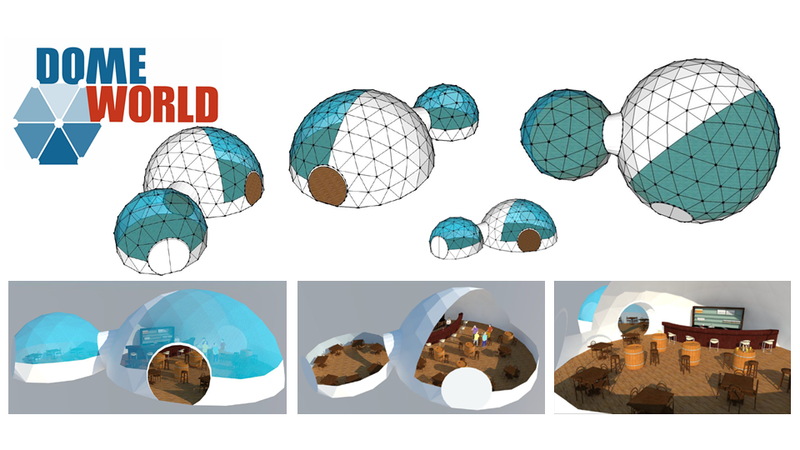 Speaking of the structure, let us know if the dome will be placed in a city or in a windy area. The latter changes the forces in the structure, so a structural analysis according to your geographic area can be a recommendation. In short, you have in your hands the ability to design your own dome.